Get a consistent clean finish every time with the Arden window cleaning specialists at Southwest Ultra Clear. We can get your home or office looking new regardless of your structure’s size or how elevated the cleaning is. We have a full crew to take care of all your cleaning needs. Our comprehensive package of services range from window cleaning to interior items such as ceiling fans, chandeliers, skylights, to highly technical cleaning detail such as solar panels, bird barriers and even construction cleanup. 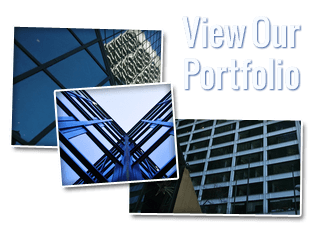 Check out our entire website for all the options that we provide for both businesses and homes in Arden and the entire Southern Nevada region. When it comes to highrise cleaning, you need to trust the company that you hire. Arden highrise window cleaning is a dangerous job that requires years of experience to achieve. At Southwest Ultra Clear safety is our number priority with no room for error. This is why we invest in the highest quality industry standard equipment that is OSHA approved. We value both our staff and our clients’ safety above everything else. We only hire highly trained, experienced professionals who are insured, bonded, and licensed. Safety should be our concern, not yours. Our certified team gets your entire highrise clean from top to bottom. We know what it takes to do a thorough job and get every single window clean. There’s nothing impressive about a partially cleaned building. This is why we strive for 100% consistent cleaning that you can depend on. Your company’s reputation is at stake, and making a first impression is vital. This all starts by having a stunning window front. Don’t take chances with a lesser company. Go with the best. Contact the Arden window cleaners at Southwest Ultra Clear and see the difference we can make in your home or office. Discover all the benefits of hiring Southwest Ultra Clear. We offer a full line of cleaning options for both home and office. Our company cleans your property inside and out. If you’re tired of all the time consuming cleaning projects around your property then contact us today. We work fast and still give you quality cleaning service you’ve come to expect. We cover your entire residential and commercial needs. Selections include complete interior and exterior window clean, storm windows, door and window screens, pressure washing, solar panel treatment, and detailed polishing such as mirrors, chandeliers, and ceiling fans. In addition to our other distinguished cleaning services, we also offer professional Arden gutter cleaning at affordable rates. It is vital to keep your home or office’s gutters clean in order to allow free flowing water to be channeled through your drain pipe and dispersed to targeted areas away from your home. This keeps water from overflowing and potentially leaking back into your home or damaging items immediately around your property’s base. We recommend a routine quarterly gutter cleaning. This minimizes leaf, branch and foliage buildup in your gutters. We can come to your home, and have your gutters cleared out in no time. We can also make recommendations for gutter restoration and roof cleaning and treatment as well. 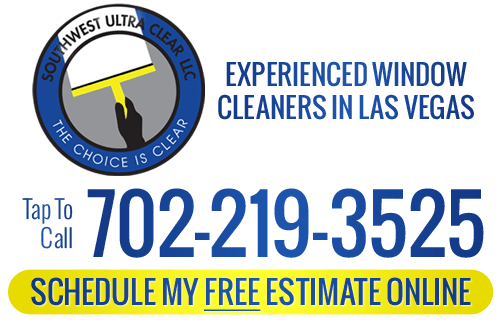 If you are looking for a Arden window cleaning service, please call Southwest Ultra Clear at 702-219-3525 or fill out our online request form.